The best leaders bring dreams, not industry expertise, to their companies. “There is not the slightest possibility of such journeys.” -American astronomer F.R. Moulston on humans going to the moon (1935). “Heavier than air flying machines are impossible.” – Lord Kelvin, President of the Royal Society of London (1895). “The [atomic] bomb will never go off, and I speak as an expert in explosives.” -U.S. Admiral William D. Leahy to President Truman (1945). “There is no reason for any individuals to have a computer in their home,” -Ken Olsen, founder of DEC computer company (1977). These bold (and completely wrong) predictions, as well as many, many similar examples, prove that while experts excel at incrementally improving technology, disruptive ideas come from non-experts. Why? The more you know, the more barriers you see and the quicker you are to spot why crazy ideas won’t work. Instead, it’s dreamers like the Wright Brothers, or in contemporary times Elon Musk with his vision of taking humans to Mars, who make the great leaps in tech and business. But what if you’re an expert or industry veteran rather than a newcomer full of outlandish dreams–is it hopeless that you could help create true innovation? There are lots of ideas about how to get around the problems with expertise and help experts think outside the box, but personally I believe that there is a better way to approach the limitations of experts. Don’t try to think outside the box–you’ll only ever manage to expand it a little. Instead, think in another box. Most people are scared about doing something in an industry with which they’re not totally familiar. ‘What do I know about X industry?’ they say to themselves. My answer is: your ignorance is what makes you the best person to disrupt that industry. When you’re starting a new business, you don’t need to know much about it. A lot of the work is blocking and tackling–it’s the same type of stuff no matter what sector you’re in. If you don’t know much about the field, you’re able to ask a set of questions that an expert would never ask, and that allows you a very different thought process and a fresh approach. Instead of trying to think outside the box in your industry, think in another box by applying your expertise to another industry. That’s what I’ve done with my latest company Moon Express. I have absolutely no idea about space exploration. I’m a software guy. But because I’m a non-expert, I’ve been able to bring the software concept of modularity into the space sector, which was never done before. The gravity on earth is high, so you need a substantial amount of velocity and the fuel to generate it to get out of the earth’s gravity. But once you get to earth’s orbit, from there to the moon there is zero gravity, so you don’t need the same technology. You can use some type of solar sail. Finally, the gravity of the moon is one sixth of here on earth, so you can use a very small rocket. Your business may be about as far from space travel as you can get, but the basic principle is still useful. The idea is to apply the common knowledge of one industry in another where it is completely novel. That can mean having the courage to start a business in a niche that’s unfamiliar to you, but it doesn’t have to involve starting up in a whole new sector. The principle can be applied within existing teams too. People who are experts in one field often prefer not to talk to those with different expertise. “What does this guy know?” they think to themselves. The truth is that non-experts will ask very basic questions that will often make the experts think on a more fundamental and productive level than those with similar training. Of course, experts aren’t useless–far from it. After we came up with a modular approach to getting to the moon, we still needed an avionics engineer who had spent 10,000+ hours studying avionics and a propulsion engineer who just knows propulsion. Execution demands expertise, but leadership doesn’t–it demands dreams (the crazier the better). Why are wild dreams so valuable? My mother once told me, ‘Go do what you want because the sky is the limit.’As I later learned working in the space industry there is no such physical thing as the sky–it is just a product of our imagination. 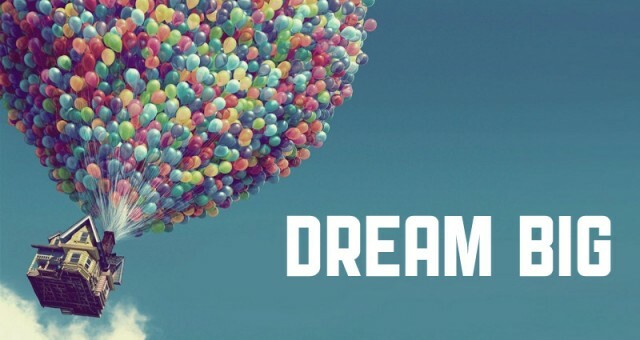 Which means that, in reality, our imagination and the scale of our dreams are really the only limiting factors. Don’t let expertise fool you into seeing false boundaries or underestimating those with wild dreams. Do that and you might end up being remembered for a spectacularly wrong prediction like the ones at the beginning of this post! Wouldn’t you rather be famous for an incredible, world-changing innovation instead? If so, bet on dreamers, not experts.